Thirty years ago, scientists at a major drug company wished to develop a medicine that would open arteries in order to lower blood pressure. The chemical that was fabricated did, indeed, help reduce angina. After several years of R&D, the product appeared to be safe, but the male volunteers reported an unusual side effect. The original intent of the drug was scrapped, and Viagra™ made it to market – much more quickly than the process usually takes. Now, the warnings and side effects are myriad, including possible BLINDNESS and DEAFNESS. Yet, sales have soared, because what Viagra does is so valuable to patients. And, forget about “erections that may last more than 4 hours,” since that seems to be a selling point. There are lots of medications that have actions other than those for which they were invented. When does a side effect become the effect? Lumigan is another example. Originally meant to treat glaucoma, patients noticed that their eyelashes grew longer; so voilà – LATISSE®! A prescription is considered as “off-label” when the actual usage of a medication is not included in the detailed written descriptions of the intended use based on studies submitted to the FDA. Importantly, as reported in Consumer Reports, off-label drug use is legal and often beneficial. Furthermore, it is quite common, especially in children. According to one well-known study, “Most patients (79%) hospitalized at tertiary care pediatric institutions receive at least 1 medication outside the terms of the Food and Drug Administration product license.” Medical News Today recently reported that “Morphine… many inhaled bronchodilators, antimicrobials, anticonvulsants, and proton pump inhibitors… are used in children without formal FDA approval.” So, let’s not get too excited about the off-label use of medications to help children who have autism. Then, there are the substances that ARE approved for behavioral symptoms of ASD – RISPERDAL® and ABILIFY®. There exists little evidence of their value for ASD. Anyway, manufacturers do not even claim to address the core delays in the ‘Social’ and ‘Communication’ domains. In the end, their use is often discontinued (or ignored), with many parents reporting more negative than positive results. That brings me to the anti-fungal medication, Diflucan (fluconazole). At any time in my practice, nearly a third of our patients are getting very tiny doses and their parents have reported great relief. Sleep improves. Silly behaviors abate. Their fog clears and their ability to focus is enhanced. Other supplements, such as Glutathione and B12, seem to work better. There are improvements, not only in behavior, but communication as well. Because it is supposed to eradicate yeast, we assume that the symptoms were due to a fungal overgrowth in the gut. Sometimes there is laboratory evidence that documents such a condition. However, fluconazole also improves symptoms when there ISN’T such evidence, or the medication has been used for a very long period – longer than it should have taken for the yeast to die. It even ‘appears to work’ when the organism tests resistant to the drug. Furthermore, the effects – both positive and negative – become evident within days of administration, a shorter duration than expected for the yeast to either die, or to return. So, we call the disruptive behaviors that precede fluconazole ‘yeasty’, and we call those that follow shortly after administration ‘die-off’. There are books and blogs suggesting how to reduce yeast and sugars in food and other supplements that are supposed to accomplish the same improvement. Some are natural, such as turmeric and citrus seed extract. Also, there is another anti-fungal medication, nystatin, which is supposed to pass through the gut unchanged, perhaps conferring less toxicity (though certainly not less tolerance – the stuff is yucky). In my experience, and that of many other Special Needs Medical Practitioners, few interventions address the symptoms that we assign to autism itself and/or yeast complicating autism as well as diflucan. Period. 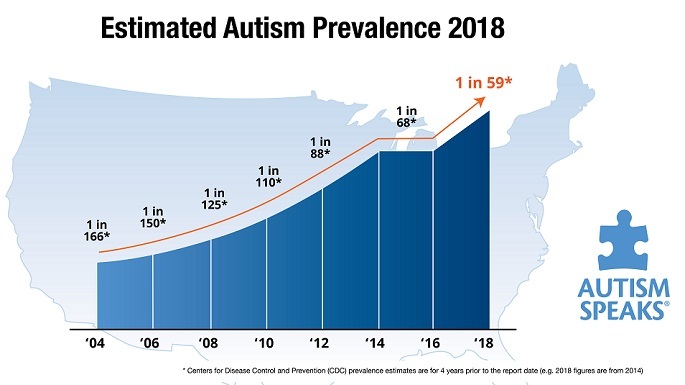 It feels as if that particular medicine (and maybe a few others like it) must be doing some ‘off-label’ magic to show such positive effects in ASD patients. No medication is without risk or side effects. Adverse symptoms include headache, nausea and vomiting, abdominal pain, and diarrhea – the same symptoms that we assign to ‘die-off’. But these often go away after 3-5-7 days. The main complication of possible liver toxicity is a major sticking point when I explain that to parents. It is, admittedly, a very rare occurrence that requires appropriate lab testing and follow-up, with close medical observation and consideration. Just like in every other medical protocol. I often ask parents, “What if fluconazole were called ‘Anti-Autism Medicine’?” Their answer would be, “Gimme some of that stuff!” There would be more understanding about possible minor side effects, the labs that need to be checked and the doctors to check them, the cost, or the frequent dosing. This medication is not a panacea, but it sure sometimes helps in the war on this epidemic. So what if the reason it works is only a side effect? *Of course, I am only describing my experience and do not recommend this drug unless it is part of an established medical protocol which can be followed and documented. This entry was posted on Saturday, January 12th, 2013 at 8:37 am	and is filed under >ALL<, Alternative and Complementary Medicine for ASD, Autism Therapies, Patient experiences, Reversing autism. You can follow any responses to this entry through the RSS 2.0 feed. You can leave a response, or trackback from your own site.